A video brochure is an exciting, modern way to grab attention and cut through the digital noise of the modern day’s crowded market. Back Office Pro has been in the business of creating professional, eye-catching video brochures for nearly 14 years now, and our creative team has a deep bench: On an average, everyone working on video brochures here has at least 5 years of creative experience. We can create a high-quality, engaging video brochure that will be a high-performance marketing tool for years to come. Adhering to all ISO quality standards, our video brochures have been in demand by some of the world’s most creative agencies, companies, and businesses. With your knowledge of your market and business and our creative capabilities, we can create a video brochure for your company you’ll be proud to distribute. Creative You give us the basics – what you need, who you are, and what your market is – and we can assist you with coming up with concepts, graphics, and every other aspect of your video brochure to ensure maximum impact. Technical Whatever your ideas, we can make them happen. We have the human and technological resources to make a video brochure that conforms to your highest expectations, using the most cutting-edge techniques, software, and design trends. Resources: Unlike some of our competitors, Back Office Pro is unlimited in the resources we can devote to your video brochure project. Whether it’s in terms of human talent, media resources, or software application, whatever’s needed to make your video brochure everything you need it to be, we can manage. Innovation: We don’t have a ‛template’ that all of our video brochures follow, and we don’t ever use overdone tricks or effects that make your brochure look like everyone else’s. We treat your brochure as a unique and special project that requires creative thinking. 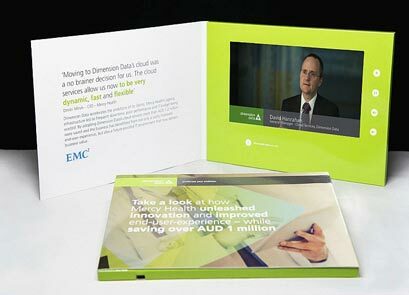 Track Record: Our video brochures have a proven track record of success. Other companies might claim to be your best choice, but how many can demonstrate it? Customer Service: Apart from offering the most creative and energetic services in the business, you also get our top-flight customer service that makes sure all of our clients know just how important they are to us and our business. First, we listen. Listening is the most important aspect of this initial meeting, because it’s where we learn what our client needs and also what they want. We pay attention, and offer real, honest feedback regarding their goals and every aspect of the project from its schedule to its technical specs. Then, we choose our team. Everyone is chosen specifically for the project. We don’t do generic; we match skills and experience to the needs of the project, and we’re not afraid to pull more people in later if necessary. The team then helps us figure out the software and hardware we’ll need, and any other resources that are needed. Your video brochure could be the crowning achievement of your marketing and branding campaign – if you choose the right partner to create it. Contact Back Office Pro today to begin the conversation that will change everything about your business.